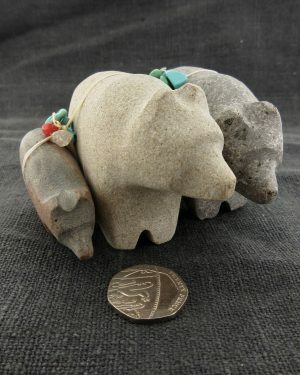 This bear really is lovely. 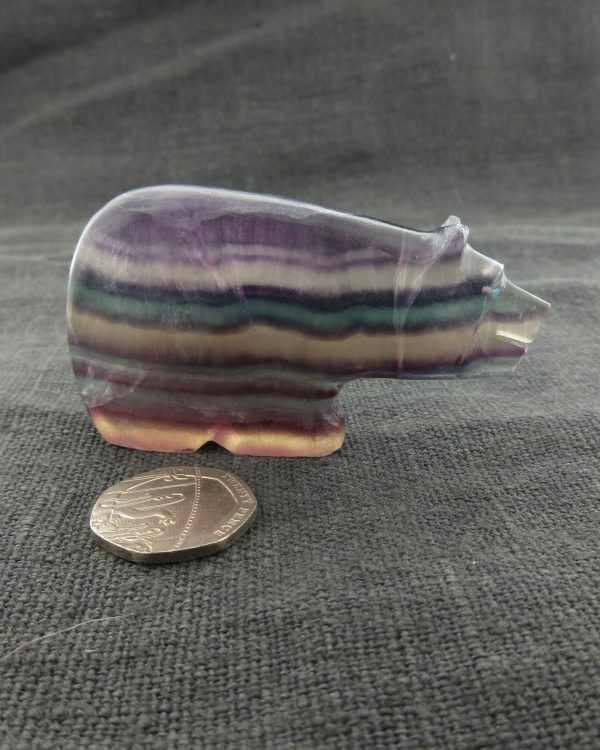 He has been carved in the most gorgeous Flourite with the gorgeous lining that this stone can have in whites, clear and lilac. 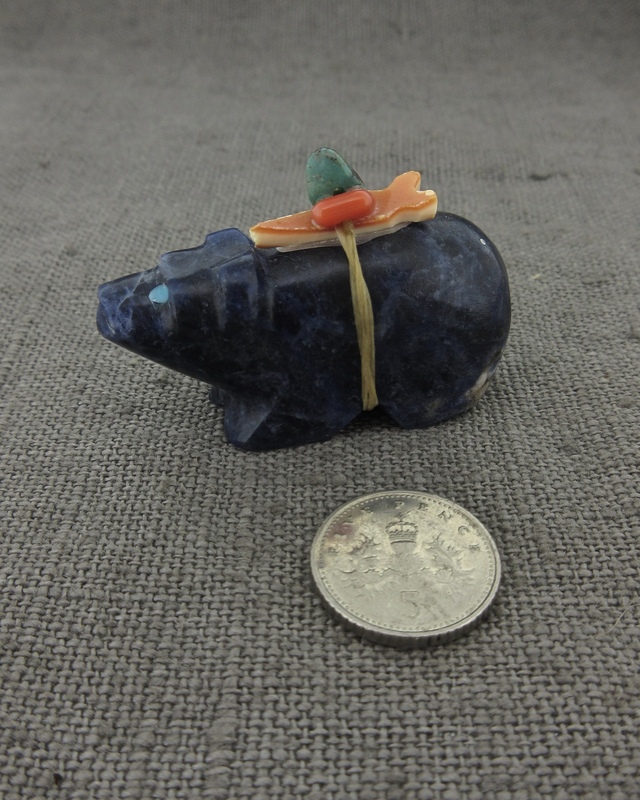 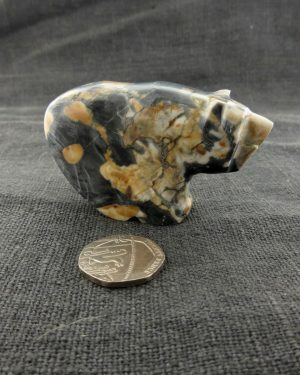 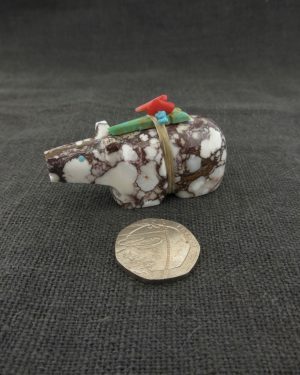 This bear shows how Burt Awelagte does carve each piece of stone individually as here he has carved this bear quiet thin and flat unlike his other one that has a nice fat bum!!! Be the first to review “Lilac Lines Bear” Click here to cancel reply.